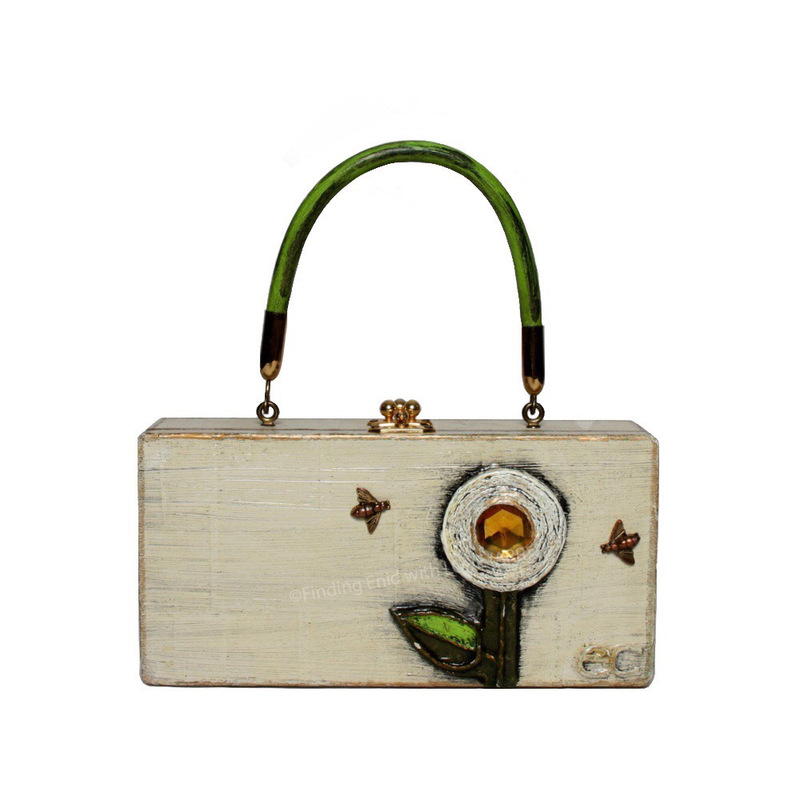 Box purse of solid wood painted in antiqued white with metallic gold rubbed edges; decorated with a papier mâché flower in antiqued white and greens. Center is embellished with a large, faux gem in amber. Antiqued gold embellishment of bees hover nearby. Vinyl handle is antiqued green.